We are so grateful to all our supporters for their help and donations - without which we wouldn't be able to function. Our charity is run by volunteers so none of our workers receive a salary - every single penny that we raise goes directly on the care of the ponies and our campaigning work. Donate - We are very grateful for any donation - no matter how big or small. 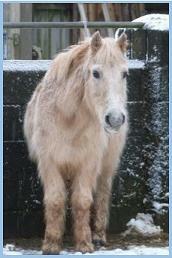 We have daily costs for the care of the ponies - bedding, vet bills, supplements, feed etc which all mount up. We can also take donations of good quality second-hand tack or other household/garden items that we can sell to raise money for the ponies. One of the easiest ways to support us is through www.easyfundrasing.org.uk - using this website, you can gain people4ponies a donation when you shop online with most retailers. The donation comes from the retailer so doesn't cost you a penny! Volunteering - Our volunteers are the life-blood of the charity. There is no riding available for volunteers and all our helpers get involved with the manual jobs such as mucking out. We all have a variety of different skills that we bring together to help the ponies - running fund-raising stalls, web-design, artwork - to name just a few! Faye won the title of "Volunteer of the Year" at the Ceva Animal Welfare Awards in 2013 - we all work hard but we also make a difference to animal welfare. If you are interested in volunteering - take a look at our blog to see what our volunteers get up to...if this looks like something you'd like to try, then please do get in touch. You don't need a lot of experience with horses or ponies to be a volunteer - more a willingness to learn and understand our ponies and their needs. 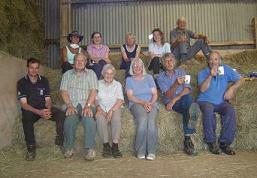 Talks - We are available to give talks to groups and clubs about people4ponies and our work. In 2013 we have given talks to The Women's Institute in Stoke Cannon, The Monday Club and Ladies Group in Witheridge, and the MS Group in Crediton. If you would like us to present a talk to your group, please do get in touch!